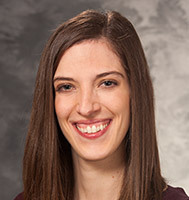 Dr. Kimberly Fleischmann is a Clinical Psychologist at UW Health at The American Center who specializes in working with patients with a variety of health problems and medical conditions. She provides inpatient and outpatient services aimed at helping individuals adjust and cope with their acute and chronic medical conditions, medically recommended lifestyle changes, and managing medical procedures to improve their overall quality of life. She specializes in working with adult patients with a range of health issues including weight management, diabetes, insomnia, pain, headaches, and sexual dysfunction. She is also directly involved in developing psychological services to promote men’s health. Dr. Tremblay is listed in the National Register of Health Service Providers in Psychology and is a member of The Society of Behavioral Medicine and American Psychological Association Division 38: Health Psychology. She is licensed by the State of Wisconsin.